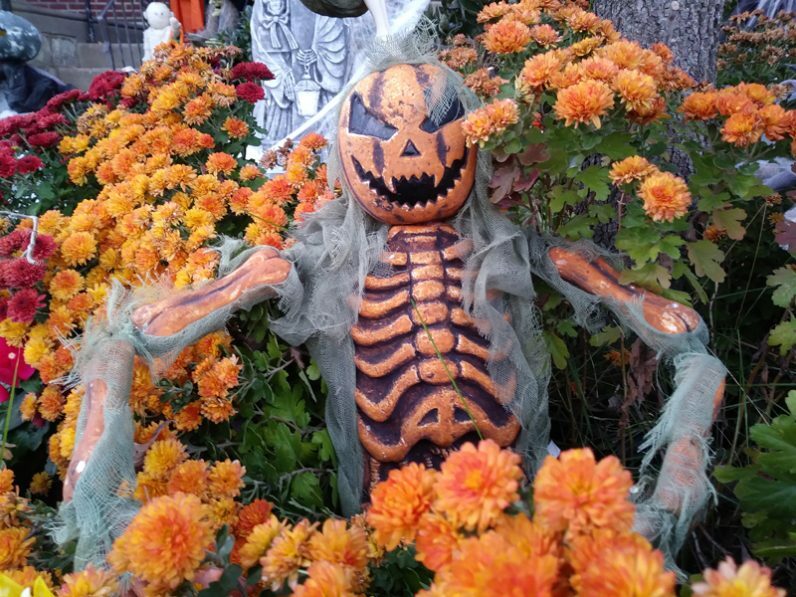 A Halloween display decorates a home in Northeast Philadelphia. If you’re seeing more bats and spiders than ever this October, you’re not alone. According to a recent report by the National Retail Federation (NRF), Americans will spend a record $9.1 billion this year on Halloween candy, decorations, costumes and cards — an increase of 8.3 percent over last year. Even pets are invited to the party: 16 percent of those surveyed by the NRF plan to dress up their animal companions for the occasion. How did this strange observance — a blend of the scary, the silly and the sugary — get started? Many historians believe that Halloween derives from the pre-Christian Celtic festival of Samhain, during which the dead were believed to return to earth. Since it fell on Oct. 31, Samhain was gradually transformed into All Hallows’ Eve, the night that preceded the feast of All Saints, designated as Nov. 1 by the medieval Catholic Church. Irish immigrants are generally credited with bringing Halloween traditions to the United States, and since the mid-19th century, the holiday has steadily developed into the retail juggernaut it is today. Despite it commercialism, Halloween remains tricky for some — from both psychological and spiritual perspectives. With its pagan roots and sinister overtones, Halloween leaves many Christians scratching their heads. Should believers in Jesus Christ celebrate a holiday fraught with such tensions? According to Father Steve Grunow, CEO and executive producer of Word on Fire Catholic Ministries, the answer is yes — with a twist. By keeping the focus on the two feasts that Halloween anticipates, revelers can have fun without endorsing the holiday’s darker aspects. Father Steve Grunow, CEO of Word on Fire Catholic Ministries. In fact, the NRF’s report shows a decline in the creepier costumes favored in previous years. The top disguises for children are now superheroes, princesses and animals. Halloween’s popularity also presents a unique opportunity for Catholics to share their faith with non-believers. Parishes can engage their communities by having 24-hour eucharistic adoration, music, worship and processions, which will enable them to “recapture Halloween as a religious event,” he said. Father Grunow, who works with Bishop Robert Barron at Word on Fire, already has plans for the holiday. “Since Bishop Barron is going to be away during this period of time, I’ve been assigned the door at his residence,” he said. 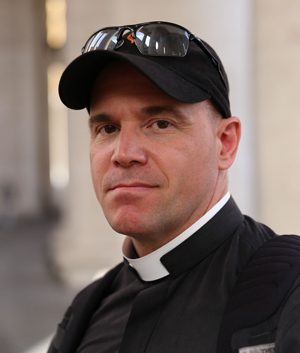 “So I’m going to be passing out candy to the trick-or-treaters in my clerical collar.